The memorial has triggered strong protests from the Japanese government. A memorial hall commemorating anti-Japanese activist Ahn Jung-geun was opened in Harbin, China, bringing praise from South Korea but criticism from Japan. Ahn is known for assassinating Hirobumi Ito, Japan’s first prime minister. The hall, the first in China to honor the South Korean national hero, was built inside the VIP facility of Harbin Railway Station, the site where the assassination occurred. “People have cherished the memory of Ahn for the past century. Today we erect a memorial to him and call on peace loving people around the world to unite, resist invasions and oppose war,” said Sun Yao, vice governor of Heilongjiang, according to Xinhua. The memorial was criticized by the government of Japan, where Hirobumi Ito is regarded as one of the founding fathers of the country. Chief Cabinet Secretary and government spokesperson, Yoshihide Suga described the opening as “regrettable” during a regular press conference. “The Japanese opinion of Ahn Jung-geun is that he is a terrorist who was sentenced to death for murdering Ito Hirobumi, our first prime minister,” he stated. 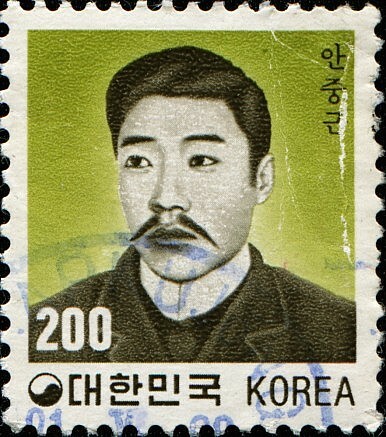 Ahn Jung-geun is regarded as a national hero in South Korea for resisting Japan’s influence over the peninsula during the 19th century. Schoolchildren in the country learn about him in textbooks or through memorials. Last June, South Korean president Park Geun-hye proposed the monument during a Korea-China summit in Beijing, leading to reports in the Japanese media that South Korea and China were collaborating against the Shinzo Abe administration in Tokyo.